GRASS ROOTS FABRIC POTS is a sponsor of the 2017 Golden Tarp Awards by The Ganjier. We thank them for the support as well as the commitment to advancing our community. Contact this expert via the information below and get the information you seek. Why are Grassroots Fabric Pots great? Quality, quality, quality. We take great pride in sewing strong fabric pots out of well-made materials. To start with, we buy a non-woven BPA-free geotextile fabric from a company in Georgia. This fabric is UV-resistant and thicker than most imported pots. 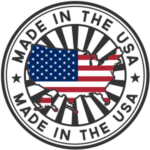 Then we purchase our thread from another USA manufacturer – it’s high-tensile, marine bonded thread made to withstand any elements and resist mold/mildew. Lastly, we bring the materials into our facility in NorCal and super cool people sew them with care. Our sewers have 13 years of experience and we have extensive quality control to ensure the highest level of quality. Bam. 100% made in America. At Grassroots Fabric Pots, we care very much that whatever you grow in our pots is safe for consumption. 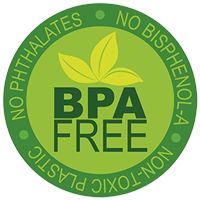 Our fabric is BPA-free, chemically stable, and does not leech anything into the soil. It also doesn’t absorb any chemicals, so you don’t have to worry when you reuse them. Our care instructions are on our FAQ page. Check it out. Our fabric is a nonwoven geotextile polypropylene made especially for us from a manufacturer in Georgia. It is military grade UV-resistant, chemically stable, and BPA free! It resists breakdown and rot and won’t leech any chemicals into your media. Plus, you can just throw it in the washing machine!